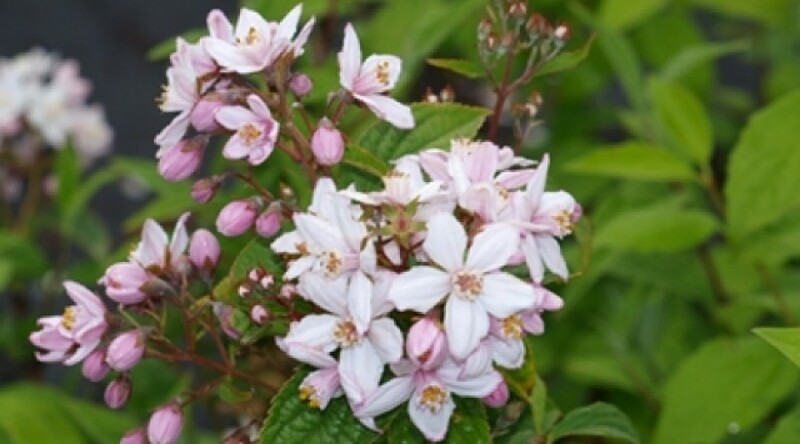 A pretty upright, shrub with dark green leaves. Masses of star-shaped purple-pink flowers with wavy petals, yellow anthers. Height 1.2m. Spread 1.2m. Flower colour Purple, Pink. Flowers from May to June. Deciduous.